The CompTIA A+ Certification is a critical first step in opening the door to your Information Technology (IT) career. Throughout this program, you will learn the essential skills needed to start a career working within the industry. CompTIA™ A+ Certification is internationally recognized, giving you a competitive advantage no matter what country you're working in and what hardware you're working with. The ITIL Foundation is the entry level certification and offers you a general awareness of the key elements, concepts, and terminology used in the ITIL® service lifecycle, including the links between lifecycle stages, the processes used, and their contribution to service management practices. The Foundation level will offer you a general understanding of the key elements, concepts and terminology of the ITIL life cycle, including how each stage links to one another and their wider contribution to service management. The ITIL Foundation is a popular qualification sought by employers in IT Service Management as ITIL is one of the most popular frameworks. This online course provides you with all that you need to pass the ITIL Foundation certification, including videos, PDF study guides, quizzes, and a practice exam. 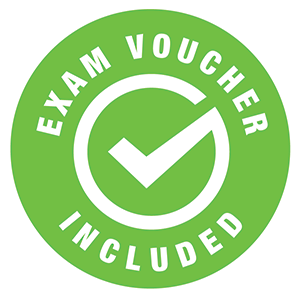 Upon completion of the program, you will be given vouchers to sit for each exam. This program is entirely online and is completed at your own pace. When you register, you will receive nine (9) months to complete this program. You will receive a copy of A+ Guide to IT Technical Support, Ninth Edition, upon registration. All of our programs are self-paced and open enrollment, so you can start them when you want and finish them at your own pace. When you register, you’ll have nine (9) months to complete the program. Upon successful completion of the program, you will be awarded a certificate of completion. In addition, you will receive exam vouchers for the CompTIA 220-901, 220-902 and ITIL Foundation Certificate exams after successful completion of the program and financial obligation. Our programs are all open enrollment. You can register and start the program within 6 months. Yes, this course will prepare you for the CompTIA 220-901, 220-902 and the ITIL Foundation Certificate exams and you will receive exam vouchers after successful completion of the program and financial obligation.